Purchase your Placement Matches for the new Season NOW! 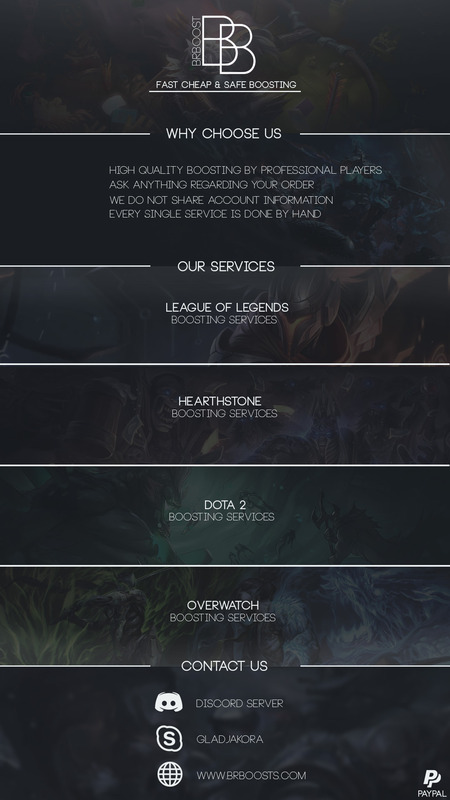 The "League of Legends" section is not available at the time on our website. Please get in touch with us for any clarification regarding an upcoming order. Every single service is done by hand. Professional and Competetive Boosters with 3+ years of experience. Teamviewer - Sharescreen - Spectate Mode options.